The best science fiction films are often praised for what may seem like the antithesis of the genre: the essential humanity and drama in the face of spectacle and grandeur. So it is perhaps no surprise that Arrival, a film of no small ambition, takes as its subject nothing less than the human race, filtered through the unique perspective of expert linguist Louise Banks (Amy Adams). 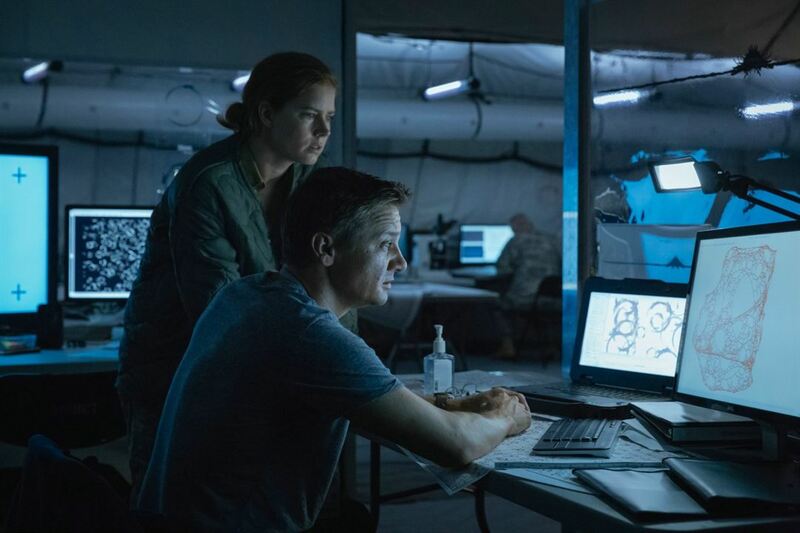 It is an alien invasion movie without an invasion, and indeed it seems as if Denis Villeneuve is almost totally uninterested in the extraterrestrials except as vaguely benign, abstract concepts. Instead, he first focuses with minute detail on the great unknown of the potential threat of the pods (the twelve cavernous spaceships that land in seemingly random places around the globe) before lurching into grand displays of emotion that culminate in an entirely unexpected conclusion that radically recontextualizes practically the entire film. Villeneuve’s strength is in his gift for immersive suspense, which he only truly gets to display in the first venture of Louise and her compatriots, including Ian Donnelly (a caring, amusing Jeremy Renner) and Colonel Weber (a stolid Forest Whitaker), into the pod. Elsewhere, his sensibility comes off as too dour, particularly in the opening scenes which lean too hard into the panicked yet muted reactions of the public at large. Adams provides a welcome counterpoint throughout, infusing Louise with equal parts sensitivity and determination and a dash of ingenuity that almost feels like a light in the darkness of the unknown. Of course, Arrival is at its best when it tries to make the unknown known, confidently explaining esoteric notions of language and emphasizing both the vast differences and the slight commonalities between common human languages and the pictorial language of the aliens. The film functions like a procedural, albeit one that remains thoroughly comprehensible from scene to scene while still proceeding in fits and spurts. Strangely, Villeneuve sometimes lays out single scenes over long ten-minute sequences and at other times uses montages to convey roughly the same amount of information, largely told through murmured, overlapping dialogue. But aside from one misjudged sequence featuring rogue soldiers attempting to bomb the spaceship, there is only a undercurrent of tension; the cooperation between practically all the nations of the world unravels but Louise and Ian remain resolute, confident in their abilities and optimistic that humanity can remain together. This optimism leads Arrival to its most ambitious gambit, a play with structure that relates with notions of language, memory and humanity of an entirely different sort than the norm. In the end, it is not Louise’s skill with language or her determination that defines her, but her sense of compassion. It’s arguable whether Villeneuve manages this drastic change of tone in the last twenty minutes or so, or whether he has a deft enough hand to render the visions Louise experiences more and more frequently with their proper gravity, but the swooning emotions speak for themselves. 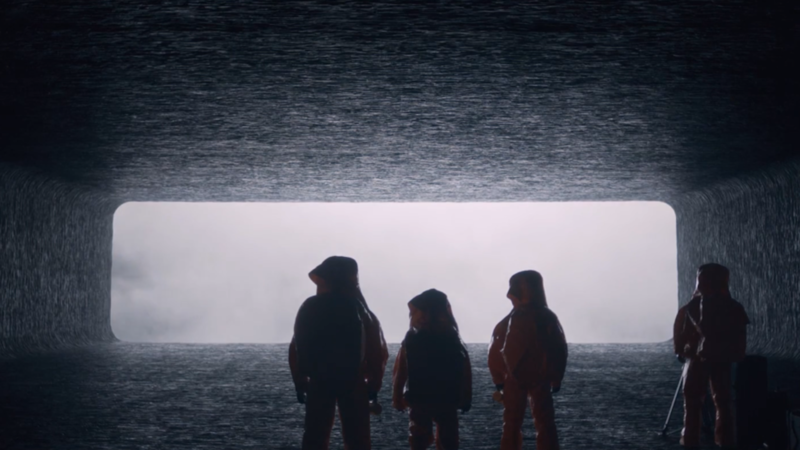 Whether Arrival is a film of tenderness or tension, emotional or cerebral, ultimately matters little: it seeks to embody all of these entirely. And if it only fails to connect a few times, its ambition and sense of humanity cannot be denied.